Serving turkey? 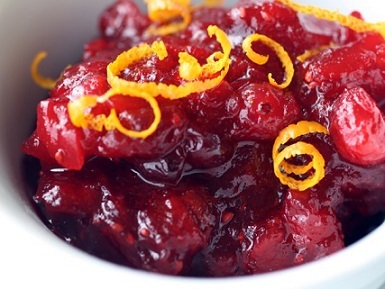 Got to have some Cranberry Sauce! 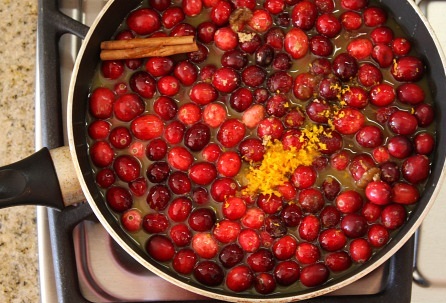 Really, what turkey dinner would be complete without delicious cranberries? Sure, Ocean Spray seems to be a regular guest at the holiday dinner table, but making your own is easy and too tasty not to do so. It's not quite as easy as opening the can, but it is close. I also think it is fun to make this side dish. The restaurant guests are always amazed that I go to the trouble to do this but they really appreciate it. It is one of those small things that helps make a meal memorial. This has been a favorite restaurant recipe for years so good I decided to share it! 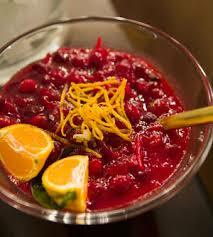 I usually try to buy fresh organic cranberries, but you can use frozen ones also. You can also use this recipe to make larger quantities and can the sauce for use year round. Stir to serve or unmold the sauce. Enjoy your sauce and the company of those you share it with! "The Indians and English use them much, boiling them with Sugar for Sauce to eat with their Meat, and it is a delicious sauce."